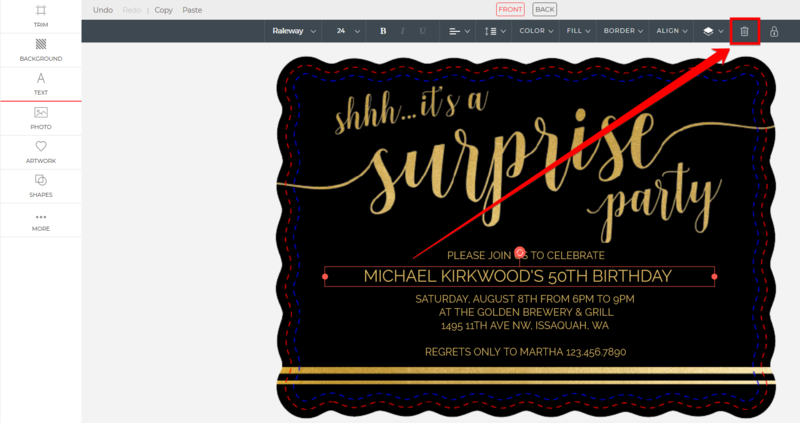 /Design Tools - Text /Can I move text from the front of the card to the back of the card? Click the text on the front of the card that you wish to move. Above the horizontal toolbar at the top of the page, click on the “Copy” button. Above the horizontal toolbar, and to the right of the Copy and Paste buttons, are two buttons that say “Front” and “Back”. Click on the “Back” button. 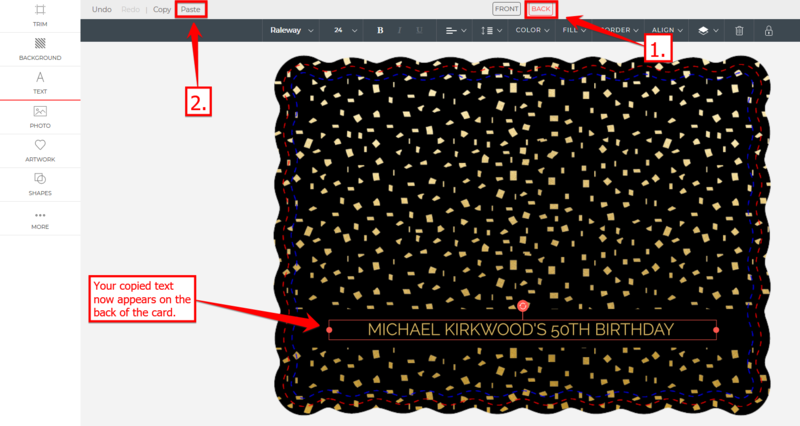 Above the horizontal toolbar at the top of the page, click on the “Paste” button. The text you copied from the front side should now be pasted on the back of your card. You can now place the text where you want on the back of the card. Remember: the text you pasted also remains on the front of your card as well. To remove the text on the front, click on the “Front” button located at the top of the page. Select the text you want to delete, then press the Delete or Backspace button your keyboard, or click the Trash icon located in the horizontal toolbar at the top of the page.